The study of multi-dimensional expansion of urban space (MEUS) addresses the laws of urban spatial expansion from all directions and angles. 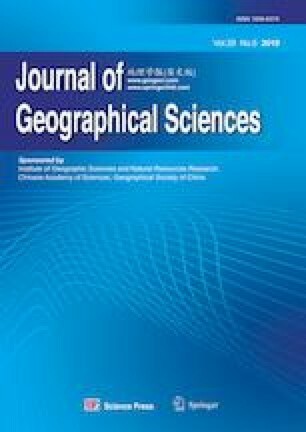 Using Nanjing as an example, this paper constructs multi-temporal, urban three-dimensional models based on RS and GIS technology and then conducts qualitative and quantitative analysis of MEUS using plot ratio change maps and MEUS quantitative index for built-up areas. Based especially on the concept of volume growth contribution rate, this paper analyzes the characteristics of MEUS in different stages. The results show that in 2000–2004, planar expansion played the main role, the internal potential development (IPD) intensity of the urban built-up areas was relatively large, and the volume growth contribution rate was low; in 2004–2008, planar expansion accelerated, and IPD slowed down; in 2008–2012, planar expansion slowed while IPD intensity increased; the contribution rates of volume growth of urban IPD for the three periods were 22.21%, 24.51% and 73.38%, respectively. This study expands the research perspective of urban spatial expansion, and the adopted methods are instructive and meaningful for MEUS research. In addition, the results of this study will deepen the understanding of MEUS laws and help improve scientific decision-making for urban planning and urban land use management.